Book us at the Expo! If you want to have the full photo booth experience and you want nothing less for your wedding, then now is a good time to book. Our Sunshine Coast Wedding Expo Offer is exclusive to those who attend the expo and meet us on the day. If you book any of our Vintage Photo Booth Packages, then well will also include a few more fun extras! Allow your guest to upload the images straight away to social media. Simply enter your mobile number or email address and receive the images and GIFs instantly! 30% Off voucher if you wish to double your prints! 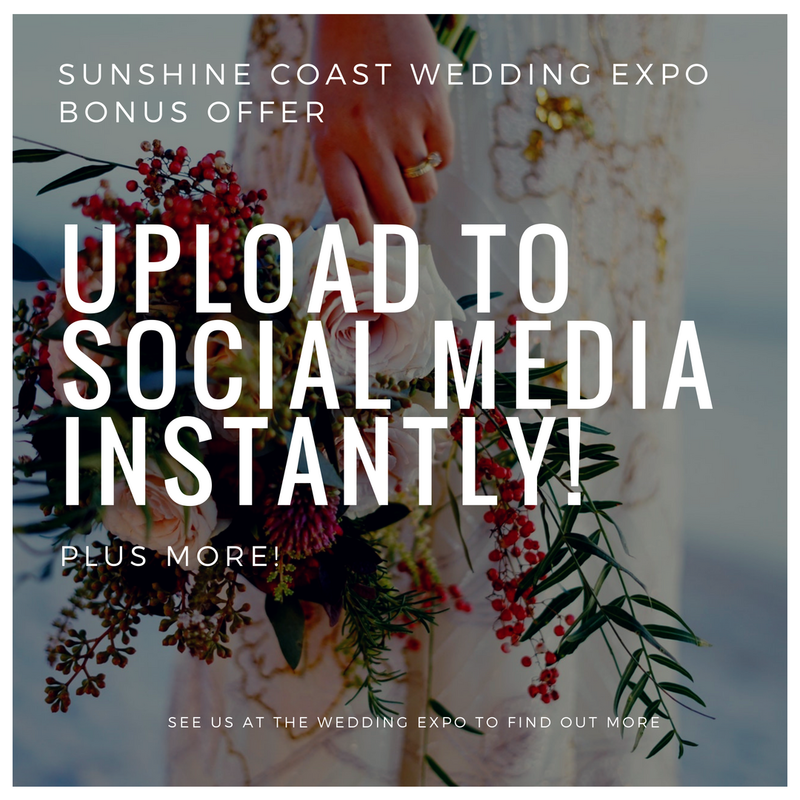 That is a huge saving so contact us if you have given us your details at the Sunshine Coast Wedding Expo and book us now to receive these bonus extras! Hurry! Offer expires 31st May 2018*. What else is happening at the Sunshine Coast Wedding Expo? WIN $5000 TOWARDS YOUR WEDDING! Unlike other expo’s, this isnt a package deal… you get to choose how and on who to spend the money! So if you want to have fun with your wedding planning at a relaxed, stress-free event whilst sipping on your glass of bubbles; then the Sunshine Coast Wedding Expo is the place for you! GRAB YOUR TICKETS ONLINE TO SAVE! * Bonus Offer will be applied to any Vintage Photo booth Package Hire. Offer excludes delivery and other extras that have not been mentioned. Offer expires 31st May 2018. To receive this offer you must see us at the Sunshine Coast Wedding Expo on Sunday 26th May 2018. You must also request for a informaion package so that we have your details and know that you were there. The 30% off voucher can only be used on the “Double your prints extra” if you wish to add it to your order. Please check for availability, as we may already be booked. It may not be used in conjunction with any other offer. To receive the bonus offer we require a booking fee to lock your date in. One offer per couple. For iShoot Photobooth’s full terms and conditions please call us.